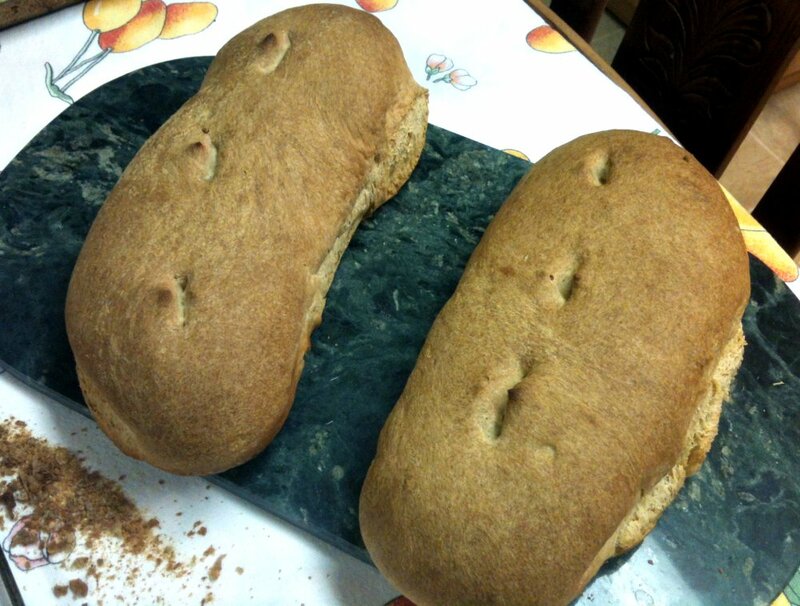 The bread fetched was a homemade filone that our grandmother Rosa would produce on a weekly basis. Filone is an everyday bread consumed in all parts of Italy and is similar to French baguette. Nonna Rosa would often bake on a Saturday morning and produce enough bread to last the entire week. We consumed bread with every type of meal, including dishes that featured other carbohydrates. Bread was also at the center of the more casual lunches we consumed on the weekends, including cheese, salumi, tomato salad, pickled vegetables and mushrooms, cured fish, etc. Begin by mixing the water and sugar in a large bowl and thereafter adding the yeast. Allow the mixture to sit for 10 minutes. In a new bowl, add the Biga (essentially the primary leavening agent for many Italian breads and is referred to as "the mother of bread"; you can make your own or find some online) and thereafter add the yeast mixture to the Biga and stir for 4-5 minutes. Next, add the salt and flour and and stir well. Knead until the dough is firm doesn't stick (after making bread a few times you'll get a feel for when the dough is ready). Move the dough to a large, oiled, bowl and cover with both plastic wrap and a large towel. The mixture should be refrigerated for 24 hours. Remove the dough and cut into 3-4 pieces (depending on the size of the filone you'd like to produce). Roll and flatten the dough on a floured surface, essentially rolling the dough into a log. Place on a covered towel and allow to rise (about one hour). Set your oven to 475 degree Fahrenheit and place the filones on a baking sheet. Make a long incision in the dough and create some moisture in the oven by spraying the oven cavity with water, as well as the shaped dough, if you'd like. Bake for 25-30 minutes until the crust develops a golden brown appearance..